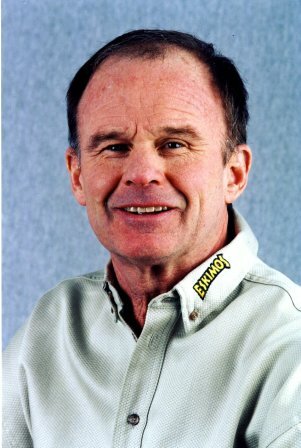 After a successful playing career with the Saskatchewan Roughriders, Hugh Campbell became the Edmonton Eskimos head coach in 1977. He coached the Eskimos to six straight first place finishes in the Western Division, six Grey Cup appearances in a row and five Grey Cup wins in a row, all CFL records at the time. His regular season coaching record of 70 wins, 21 losses, and five ties was the best percentage (75 percent) in league history at the time of his retirment. Campbell was involved in the CFL for 33 seasons as a player, coach, general manager, president & CEO. He was very active over the years continually supporting the CFL rules which make for a wide open faster game. He has also been a leader in improving areas such as coaches pensions, players pensions, safety, per diems, and health. Campbell is a member of the Washington State University Hall of Fame, the State of Washington Hall of Fame, Whitworth Hall of Fame, Alberta Sports Hall of Fame, Edmonton Eskimos’ Wall of Honour, and the Saskatchewan Roughriders’ Plaza of Honour.